If you are looking for a discreet treatment option to transform your smile, Kimball Orthodontics is here to help you! Since Invisalign is nearly invisible, you can straighten your teeth without anyone knowing. 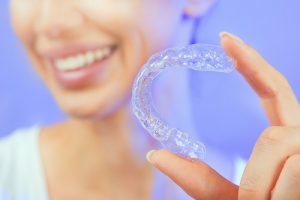 Invisalign uses a unique series of clear, plastic, and removable trays to straighten teeth in faster time and with fewer visits! As a certified Invisalign provider, Dr. Kimball has helped transform hundreds of smiles using the Invisalign system. To learn more about the Invisalign system, click here. To find out if you or your child are a candidate for Invisalign call 949.363.3350 or click here to schedule your Kimball Smile Analysis today!